There will be a unique opportunity to buy archive prints, posters, automata and kits as well as a several push-button exhibits. Open 5pm to 8pm (or by appointment from 11 a.m.). 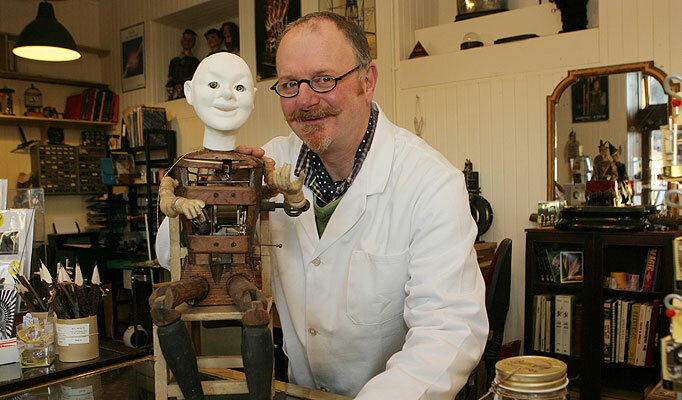 Automata expert Michael Start from the House of Automata will join us for the evening. 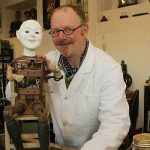 Michael worked as Automaton & Horological Advisor for Martin Scorsese’s highly acclaimed film Hugo which features a clockwork automaton. Michael will talk about his film experience and share some of his work with us.